On Wednesday, Jan. 30, 2019, UofSC alumni and South Carolinians came together in a concentrated effort to support higher education. But that's just the beginning. Learn how you can continue to spotlight our university's vital role in fostering both our state's and citizens' economic well-being. Did you know state policymakers have made a conscious decision over the past 10 years to shift the burden of paying for higher education from the state to students and their families? The dramatic cuts of higher education funding made during the Great Recession have yet to be restored — despite broad economic recovery. In the 2018 legislative session, the trend began to be reversed with new money given to state higher education, which resulted in the lowest tuition increase in two decades, but the forward momentum must continue. 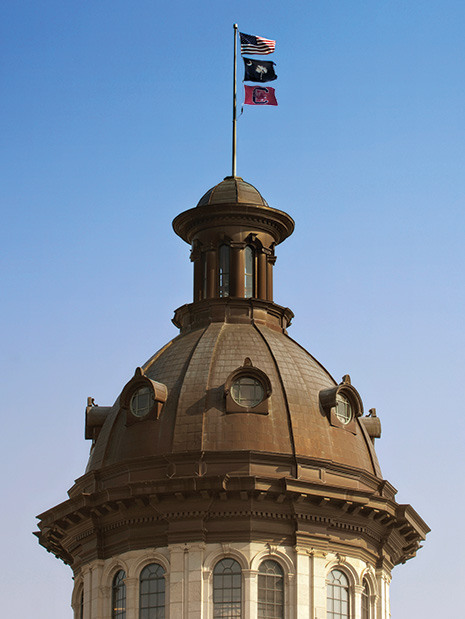 Our legislators must know the many ways Carolina benefits the people, communities and industries of S.C. On Carolina Day each year, we invite the community to join us in advocating for the university's ideals and mission to make higher education accessible for future generations. Your voice and continued support is more than ever as the new Higher Education Opportunity Act — a bill that could help freeze tuition and increase access to higher education in South Carolina — makes its way through the legislative process. Follow and amplify #UofSCImpact on social media. Add the official Carolina Day hashtag (#UofSCImpact) to any social media posts or online content you create related to supporting UofSC. Make sure your legislator knows the impact Carolina has had on you or your family. Login to Facebook and Twitter anywhere you are. Log in to your social channels from your home or office, and join the conversation on #UofSCImpact. Let your followers know why you support UofSC. Visit the toolkit to access social media-ready facts, accomplishments, reasons to support Carolina, and instructions on how to share your messages with lawmakers. Join us at our annual Carolina Day events. Make plans to participate from your home or office for Carolina Day 2020. Whether you'd like to support Carolina digitally on social media or visit the Alumni Center in person, your support matters. Together, we can make a difference for higher education funding that will make education more affordable, more meaningful and more impactful for a greater number of South Carolinians. While Carolina Day is one day out of the year, you can log on to tell your elected officials why Carolina is invaluable to our state and citizens on any day. Use the #UofSCImpact hashtag to unite your messages with other messages of support.